A lot of people have been asking me what we are doing for baby bedding. I found this picture on the internet of the bedding we registered for. 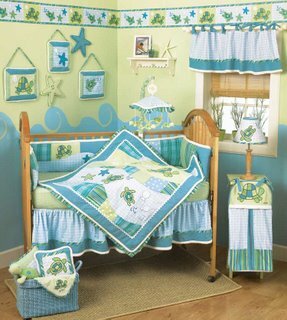 We just love it, the turtles are so cute and it matches the room great!